Starting 5 April, 2019 – we’ve introduced an all-inclusive package for adventurers looking for an enhanced visit. Purchase our value for money all-inclusive ticket and enjoy all of these perks in addition to your Segway adventure! When you arrive, start with a fresh bean-to-cup Coffee – including Espresso and Cappuccino, Cornish Tea, Belgian Hot Chocolate, 500ml Ice Valley water or 330ml Coke Zero. All-inclusive tickets include PhotoPass! Have fun and our instructors will capture your entire adventure! When you get home you can download and share them with all your friends. Three hour parking is included in the Barrow Centre car park only. Please obtain your parking ticket when you check-in at Adventure Segway. 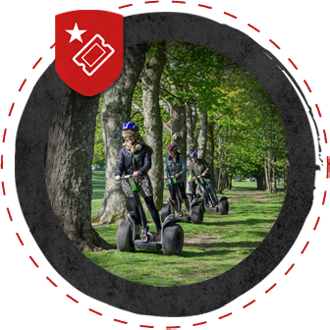 After your initial training briefing you’ll be one of the first to board – meaning you will have slightly more time at the helm of your very own off-road Segway! Bad luck? Don’t worry – if it rains constantly for an hour or more, we’ll give you a voucher code to return before 31 March, 2020 for just �4.99. Play 9-holes on our beautiful Disc Golf course before or after your Segway experience for just �3. 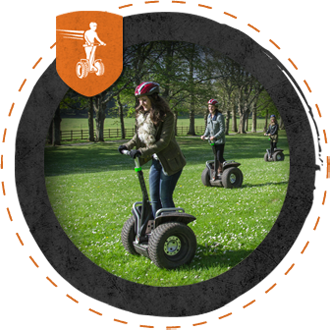 Simply arrive at Adventure Segway when you’re ready to play! 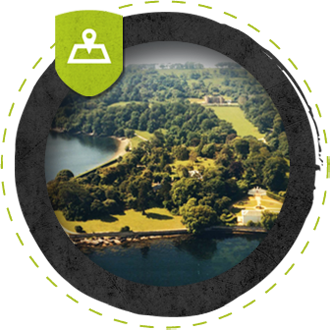 Wonder Nights is Mount Edgcumbe’s highly rated after dark Christmas adventure the whole family can enjoy together. Discover garden light shows like no other and celebrate the most magical time of the year at this special place. Click here to discover the magic! Includes all the perks of our all-inclusive ticket but you can choose where to explore with just your group (minimum 4 persons) and your very own instructor! Please note that the initial training session will take place with other visitors.